The Munsell Rock Color Chart helps geologists and archeologists communicate with color more effectively by cross-referencing ISCC-NBS color names with unique Munsell alpha-numeric color notations for rock color samples. The rock color chart is a revision of the previously published Geological Society of America (GSA) Rock Color Chart. Your Munsell Rock Color chart gives you the convenience of evaluating rock colors of all types where you need it most… in the field. Evaluate rock color wet or dry; medium, fine or coarse grained rocks too. Although your Rock Color Chart is built to endure some of the most rugged conditions in the world, you’ll need to periodically replace it. Ordering is easy and replacement fast. 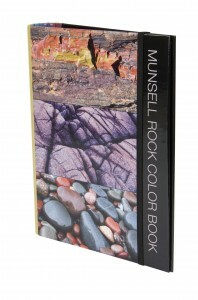 Replace your Munsell Rock Color Chart Today.